There has been no dam today in the Mekong River between the Golden Triangle (Northern Thailand) and the Mekong Delta in southern Vietnam. But now Laos is on the way to change this: Construction works for Xayaburi Dam have progressed. And a project for Don Sahong Dam in the Si Phan Don area in southern Laos has been launched. There is the fear, that these dam projects may hit the livelihood of tens of millions of people living along the Mekong. Therefore this blog starts a documentation about what is happening. 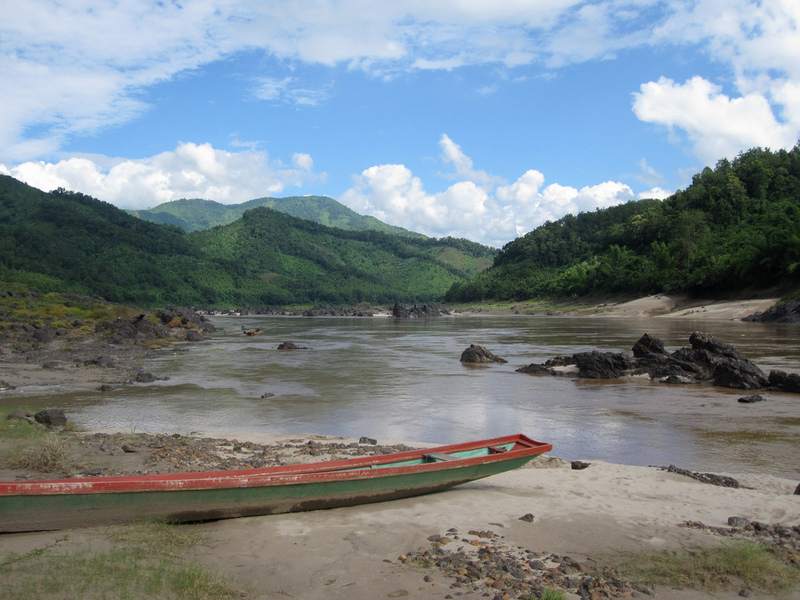 Laos has suspended construction of its controversial Don Sahong hydropower dam on the Mekong River. This has been said by Lao ambassador Prasith Sayasith during a meeting with Cambodian Deputy Prime Minister Hor Namhong, as Radio Free Asia reports. Construction of the Xayaburi Hydro-power plant, the first dam is now 23% complete. Lao media report this according to Bangkok Post. It is "on track to be operational in 2019 as planned," the Vientiane Times reported. 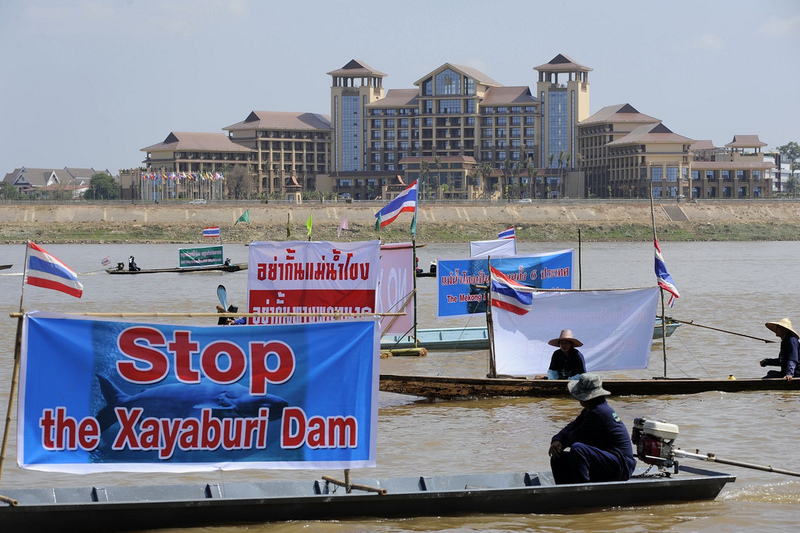 39 Organizations based in Cambodia, Vietnam, Thailand and Australia have issued one more Plea to Halt Xayaburi Dam in Laos as Chiangrai Times reports. About 600 people are scheduled on Saturday to start a four-day protest that will include marches and boat trips to call for construction of the controversial Don Sahong dam on the Cambodian-Lao border to be halted, reports The Cambodia Daily. The highly sensitive and critically endangered freshwater dolphins in this area will likely be extinct if dams such as the Don Sahong go ahead, the WWF has said. See also video by WWF. 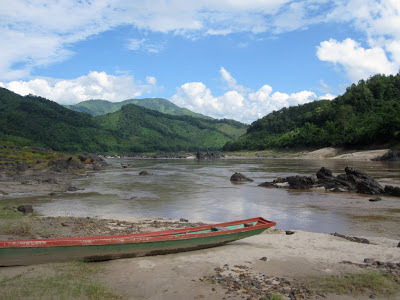 3.10.2013: The Government of Laos notifies the Mekong River Commission of its intention to construct the Don Sahong Dam. In June 2008 the Malaysian Mega First Corporation Berhad (70 percent of the shares) had formed a joint venture with IJM Corporation (30 percent) for the project development. The Don Sahong Dam is a Run-of-the-river hydroelectricity facility. It would be located at the downstream end of the Hou Sahong channel between Don Sahong and Don Sadam islands. The dam's height would be between 30 and 32 metres. It would have a capacity of 260 MW. Most of the produced electricity would be exported to Thailand and Cambodia. Many independent fisheries experts fear that the dam would have a serious impact on fish migration as the channel is the only one within the Khone Falls complex that is passable to migratory fishes in the dry-season, and it is the major migration channel year-round. There is grave concern among environmentalists that the dam will jeopardise fish catches in Cambodia's Tonle Sap lake, as The Nation reports. Read background on thediplomat.com. Vietnam urged Laos to halt construction of a $3.5bn (£2.2bn) hydropower dam on Mekong River pending further study. The Mekong River commission (MRC), made up of member states Vietnam, Cambodia, Laos and Thailand, held a three-day meeting in northern Laos to discuss river development projects. The dam in northern Laos, the first of 11 planned for the lower Mekong River, threatens the livelihood of tens of millions who depend on the river's aquatic resources, activists say. Read more on guardian.co.uk. The Xayaboury hydropower project differs significantly from earlier hydropower projects in the region. Director General of the Department of Energy Policy and Planning, Dr Daovong Phonekeo, says that the Xayaboury dam will be the first run-of-river scheme to be built on the Mekong River and the first in Laos. In a run-of-river scheme there is no high dam storing enormous amounts of water. The water is kept within the river’s course and the level is raised only minimally to allow for the passage of ships and fish migration. As no reservoir is created, the daily flow of water through the dam is used for power generation throughout the year. The river’s hydrology, or seasonal flows, will continue as normal because the same volume of water that flows upstream will flow downstream. Fish passage and sediment flushing systems designed for the Xayaboury dam are based on natural river conditions. 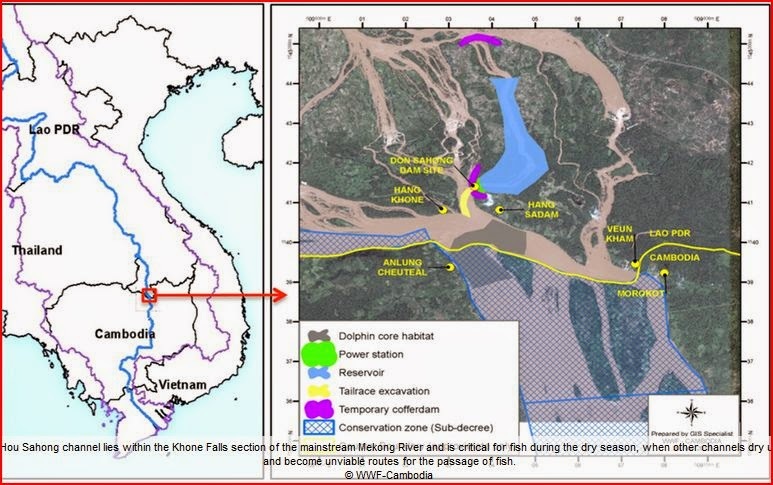 “With respect to Xayaboury, we have conducted thorough and detailed studies to improve fish passage in a number of ways and we have incorporated sediment flushing systems and other mitigation measures as well,” Dr Daovong said. Based on recommendations from independent consultants Poyry and Compagnie Nationale du Rhone, the fish ladder has been extended to ensure the maximum number of fish species will be able to pass through the dam. In addition, the navigation locks will function as a fish lift, an additional fish tunnel will be built and fish-friendly turbines are to be used. Meanwhile a fish hatching station will complement the lift, ladder and tunnel to ensure that any endangered fish species survive. Sediment transport through the Xayaboury dam has been designed in accordance with recommendations from Compagnie Nationale du Rhone, which has been operating 19 run-of-river hydropower stations on the Rhone River for the last 50 years. There are are many successful examples of run-of-river or “low-head” dams especially in Europe. The Rheinfelden power plant, 25 km east of Basel, Switzerland, harnesses the power of the Rhine River. The Fredenau hydroplant near Vienna, Austria, is the latest and largest hydropower facility to be built on the Danube River. Both are state-of-the-art and feature effective fish passage facilities. Read more on Vientiane Times. The Chinese-made Stung Atay dam in Cambodia collapses while under construction. The Associated Press reports that the Saturday collapse occurred at the Stung Atay Hydroelectric Project, a $255-million dollar dam on the Atay river, funded by the Chinese state-owned China Datang Corporation and situated in Cambodia’s Cardamom Mountains. The construction of the 120 megawatt Stung Atay hydropower dam began in 2008 and is scheduled to be completed in May 2013. 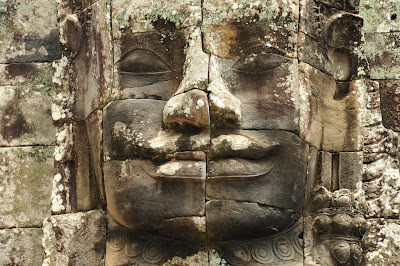 Read more on Living in Phnom Penh. Bhuddhist monks led almsgiving and chanting in the Lao valley, where the dam will soon form a concrete barrier across the mainstream Mekong River. "Normally, before we start blasting the riverbed, the Lao tradition is to ask the spirits in the area to forgive us for disturbing the river," Viraphonh Viravong, Laos' Vice-Minister of Resources and Mining, said. The Thai company Ch Karnchang will develop and co-own the dam with the Lao government. The Electricity Generating Authority of Thailand (Egat) has secured a 28-year deal to purchase 90% of power generated by the dam. Bangkok Bank, Krung Thai Bank, Siam Commercial Bank, Krung Thai Bank, Tisco Bank and the Export-Import Bank of Thailand are financing the dam. 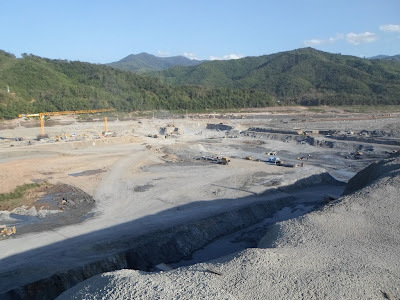 The Xayaburi dam will be 40 metres high and 800 metres across, with no reservoirs. Read more on Bangkok Post. And read Media Kit on the Xayaburi Dam by internationalrivers.org. Thai villagers protest against Xayaburi dam during Asia Europe Summit in Vientiane on 5 November 2012. 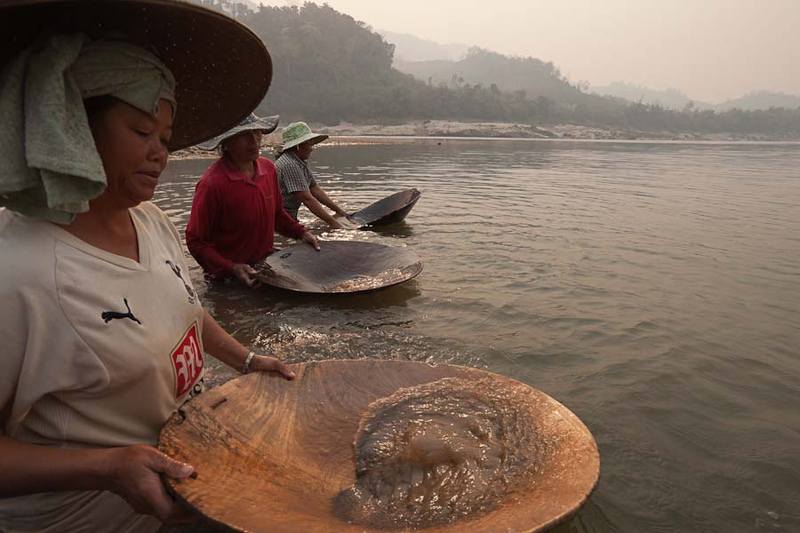 Lao Theung women of Ban Huay Song are panning for gold near Kaeng Luang. The income from this is meager, but the construction of Xayaburi Dam nearby shall make it vanish forever. Some questions remain about whether hydro dams on the upper Mekong River in China exacerbated conditions during Cambodia's devastating drought of 2010, environmental groups say, as China's dam program powers ahead. Last month the first power-generating unit was switched on at China's giant 262-metre tall Nuozhadu hydroelectric dam, which will be the largest on the river when completed in 2014. Research showed "water flow in the river's China section accounted for only 13.5 per cent of the river's total, making the country's hydropower development have little impact downstream", China Daily said. Ame Trandem, Southeast Asia program director for International Rivers, said, however, that China's section of the Mekong, known in that country as the Lancang River, provided as much as 50 per cent of the river's total water flow during the dry season. Read more on Phnom Penh Post. A conservation group submitted a petition with more than 9,000 signatures from people opposed to a controversial dam on the Mekong River to Prime Minister Yingluck Shinawatra yesterday, demanding the Thai government cease support for the Xayaburi Dam. Read the news and comments. Their study also put new dollar signs on the potential cost to the environment and traditional fisheries — figuring the net economic impact of a string of electricity-producing dams could range from a gain of $33 billion to a loss of $274 billion. Meanwhile China has been building a series of dams on the upper Mekong especially in Yunnan province. They say that the dams in Yunnan will have a positive environmental impact and will help control flooding in the downstream. However, the downstream countries have expressed that the dams will severely restrict the migration of fish and will have drastic impacts on the hydrological flow of the river. (..) China has never joined Mekong River Commission and it still refuses to join. Construction of a 308-million-dollar hydropower dam on the Khan River in Laos’ Luang Prabang province is 15 per cent completed and should be operational by 2015, reports said Wednesday. A total investment of about 2.4 trillion kip (308 million dollars), of which 95 percent had been borrowed from the Exim Bank of China. China’s Sinohydro Company is handling construction of the dam, which will be 136 meters high and 365 meters long, creating a reservoir of 30.5 square kilometers with a capacity to store 686 million cubic meters of water, the newspaper reported. Thai Utility Commits to Purchase Power from Xayaburi Dam: Thai Senators are investigating whether the Electricity Generating Authority of Thailand (EGAT) violated the Thai government’s instructions by signing an agreement to purchase power from the controversial Xayaburi Dam before it is approved by the Mekong River Commission’s member governments. Read more on internationalrivers.org. : Environmentalists appear to have been handed a second rare victory in Southeast Asia with Thursday’s decision by the Mekong River Commission Council to delay for an uncertain period the construction of the Xayaburi Dam on the Mekong River 100 km. inside Laos. The council, comprising water and environment ministers from Cambodia, Laos, Thailand and Vietnam, agreed at a meeting in Siem Riep, Cambodia, to seek international support to produce a more complete study of the dam. However, the Xayaburi Dam, 810 meters wide and 32 meters high, could well be harder to stop although at least 263 NGOs from 51 countries and thousands of people in the area have urged that it be cancelled. Its primary objective is to generate foreign exchange earnings for financing socio-economic development in Laos. Preliminary construction has already begun, with access roads and the dam foundation already in place, according to Ame Trandem, the Thailand representative for the Berkeley, Calif.-based Save the Rivers environmental group. Read more on asiasentinel.com. Energy-starved Cambodia on Wednesday opened Kamchay dam, the country's largest hydropower dam to date, a multi-million dollar Chinese-funded project, which cost more than $280 million, in southern Kampot province. US-based campaigners International Rivers said the Kamchay dam had destroyed hundreds of hectares of forest and farmland and warned it would have a negative impact on fisheries and on local people's livelihoods. Read more on AFP. The dam is invested and constructed by the Sinohydro Corporation. The project is a concessional contract of a 44-year build- operate-transfer (BOT) with Cambodian government. Of the period, 4 years for construction and 40 years for operations, it said, adding the electricity is sold to the state-owned Electricity of Cambodia. The Kamchay hydroelectric dam is one of the five dams with a total capacity of 915 megawatts invested by China in the total investments of 1.6 billion U.S. dollars. The other four dams being constructed are Kirirom III hydropower dam with the capacity of 18 megawatts, Tatay river hydropower dam with the capacity of 246 megawatts, Atay hydropower dam of 120 megawatts and Russei Chrum Krom with the capacity of 338 megawatts, according to the reports of Cambodia’s Ministry of Industry, Mine and Energy. Read more on Living in Phnom Penh. Thailand’s Role in the Xayaburi Dam: Not only does Thailand plan to purchase 95% of the dam’s electricity, but Thai companies are building the dam and four Thai banks will finance the project. Without Thailand’s help, the Xayaburi Dam would not exist. Read more on chiangraitimes.com. 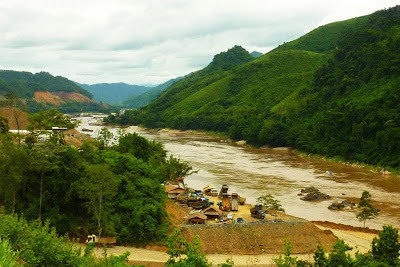 In Laos, a tale of two dams: In an isolated valley in central Laos where people live mostly in wooden stilt homes accessed by dirt roads, the thick concrete slabs and towering mechanical apparatuses of the Nam Theun 2 dam stand at odds with their surroundings. The Laos government and World Bank pledged to resituate displaced families with enough farmland and credit that their yearly income would double — a benchmark that has nearly been reached, they say — and many villagers were given a say in the process, according to developers. Decision Looms for Laos Dam, but Impact Is Unclear: The news media in Vietnam, which normally hew to the government’s line, have been unusually critical of the Xayaburi dam project. Farmers in the Mekong Delta fear that an accumulation of dams on the river could reduce the volume of water that reaches Vietnam, exacerbating the problem of saltwater seeping into farming areas from the sea. The plan calls for a generating capacity of 1,285 megawatts, enough to power a small or medium-size city. The dam, which is situated between steep hills and will span a distance of about eight football fields, will have the same impact as a “natural waterfall,” the government said in response to the report by the Mekong River Commission. The government says it plans to become “the battery” of Asia with a total of 70 hydroelectric projects, 10 of which are already in operation. Read more on nytimes.com. One of the world's greatest rivers has been reduced to a trickle in places by a series of giant Chinese dams. The Mekong's downstream countries, which are almost completely dependent on the river and its tributaries for food, water and transport, fear that China's plans for a further six major dams on the river could be disastrous. The Manwan hydroelectric dam across the upper Mekong, finished in 1996, has been frequently blamed by Thailand and other countries for reduced fishing and also for causing flash floods when water is released unpredictably. A second giant dam, at Dachaoshan, is almost complete but is said to be already affecting the river flow, and a third is due for completion in 2012. Read more on guardian.co.uk.